We live surrounded by lies. As soon as we wake up, we’re bombarded with lies that look convincing and seem to be reliable. That’s why Peter alerts us in 2 Peter that the Word of God is a sure source of Truth and light in the middle of a dark world. 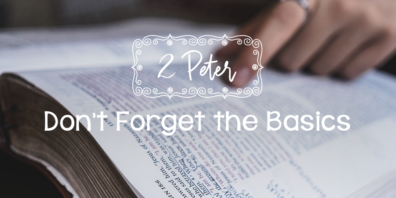 Today we’ll see the importance of clinging to the Truth of God by exploring Peter’s warnings about false teachers. Let’s read the Bible together! 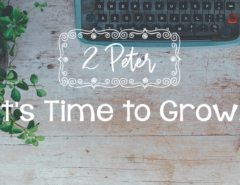 Open your Bible, and read 2 Peter 2. Read it slowly. Next, read the chapter again and use a marker to highlight the characteristics of false teachers. Read it one more time, and use a different color to highlight the references about the righteous or godly. Don’t advance until you complete these exercises. 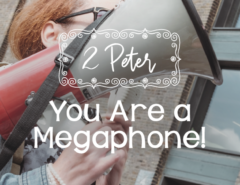 Peter gives us a clear description about false teachers that I found interesting. He clearly shows us how to spot them. Here’s what I noticed. False teachers live among the people of God. False teachers are everywhere: in your congregation, in the pulpits, in social networks, and in the media. Sometimes their messages seem convincing and logical. They are lies disguised with a little truth. False teachers will deny the Christ of the Bible. He’s not 100 percent God. He doesn’t have the power to save. He’s more like a coach or a motivational speaker than a Savior. He needs the good behavior of His followers to take them to heaven. 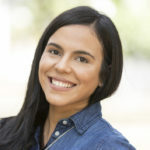 They might show Him as a cool and relaxed friend who supports you in your difficult moments and who always gives you the victory. This is not the three times holy God of Scripture. True teachers focus on the Jesus revealed in the Bible. False teachers will lead you to curse the Truth. Those who let themselves be carried away by their senses and who follow these false teachings will end up blaspheming (or cursing) the name of God by not living according to the Word of God. 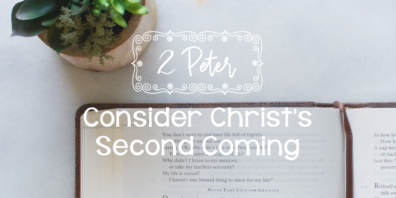 Second Peter 2:2 reminds me of the command and the warning found in Titus 2:3–5. False teachers will always lead us down a path contrary to the glory of God. They will incite us to become our own authority and reject God’s design and counsel, just like what happened to Eve. False teachers will receive condemnation. False teachers will be condemned for having rejected Christ, the Cornerstone. Peter has already told us this before, but he loves to remind us of the Truth. God doesn’t overlook sin. For those of us who have embraced Jesus there is sure hope! 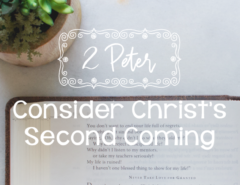 I love this part: “then the Lord knows how to rescue the godly from trials, and to keep the unrighteous under punishment until the day of judgment” (2 Peter 2:9). We count the righteousness of Christ as ours. We’ve been forgiven through the redeeming work of our Savior. That’s the reason why we must reject everything that denies that wonderful reality of our lives. They surrender to their sexual desires. They despise authority; they are not submissive. They defy the heavenly hosts. They are full of greed and love of money. They brag about themselves even when they have nothing to say. Do you keep your heart from lies by exposing yourself daily to the Word of God? Are you filtering everything you consume by the Truth of Scripture?